Ramona Marie Strickland, 86, of White Lake, passed away on Saturday, October 27, 2018. She was preceded in death by her parents: Raymond and Jennie Melvin; husband: Harvey G. Strickland; son: Gregory Preston Strickland; sister: Frances Baxley; brother: Crayton Melvin and an infant sister: Margaret Sue. Ramona leaves behind her daughter: Teresa Hardee and husband Daryl of White Lake; daughter-in-law: Carol Strickland of White Lake; four grandchildren: Jessica Hardee Reynolds (Ryan), Adam Lawson Hardee, Chandler Strickland, Matthew Strickland and one great-grandson: Preston Bryce Reynolds. Ramona grew up at White Lake and enjoyed telling stories and sharing memories of her youth which always centered on this beloved place. She was a graduate of Elizabethtown High School. She then moved to Fayetteville where she worked at the Fayetteville Police Dept. in finger printing and did some detective and investigation work. There she met and married Harvey Strickland. They later moved back to Bladen Co. to be close to her mother and extended family. She became the manager of Goldston's Beach Gift Shop at White Lake for over 50 years. There she mentored, guided and trained many young people that worked with her, creating lifelong friendships with employees and customers alike. She had an incredible work ethic and demanded that everyone she loved and worked with do the same. She would often say "There is always something to do." 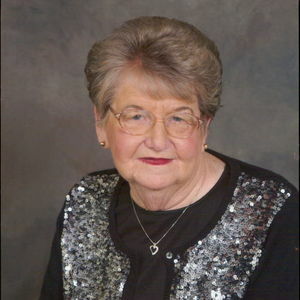 She was an active member of the Elizabethtown Baptist Church and served there in various areas over the years. Ramona loved her family with all that was in her. She was an excellent cook. Ramona believed in keeping traditions. She wanted the same dishes for holidays and always counted and recounted Christmas gifts to make sure everyone had the same number. Thanksgiving was always at her house where everyone was invited. The celebration would begin in the morning and continue late in the evening. Laughter and lots of eating was abundant in her home. She was known for saying "Can't you just stay five more minutes?" She loved decorating for all seasons and made each holiday extra special at her home. Ramona loved animals and instilled that love in her children. She often talked about her dogs Keller and Jo Jo. Keller who is deaf and blind was always by her side. Ramona's greatest joy was her great grandson, Preston. They shared a special bond bridging the span of years. "Mona" as she was affectionately called by many, will be greatly missed by family, friends and all who had the opportunity to know her. The family will receive friends from 6-8 pm on Tuesday, October 30th at Bladen Gaskins Funeral Home in Elizabethtown. A funeral service will be held on Wednesday, October 31st at 3:30 pm at Elizabethtown Baptist Church with Dr. David Elks and Charles Royal officiating. Burial will follow the service in the Melvin Family Cemetery at White Lake. Any expression of remembrance in her honor will be appreciated. Donations may be made to Elizabethtown Baptist Church, 1800 West Broad Street, Elizabethtown, NC 28337 or the Bladen County Animal Shelter, 506 Smith Circle, Elizabethtown, NC 28337. Add your thoughts, prayers or a condolence to Ramona's guestbook.